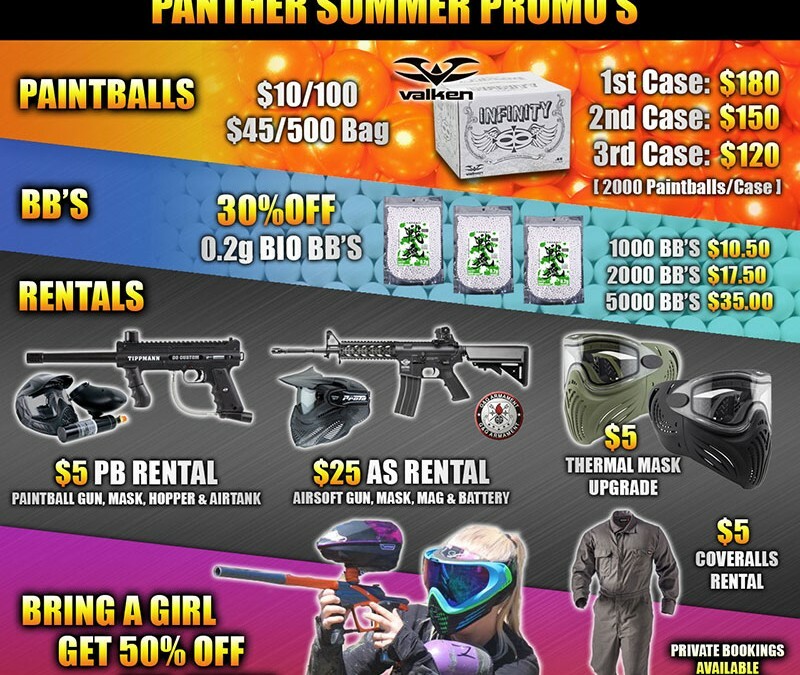 Summer time is here and we’ve got some great Summer Promos going on for the rest of the Summer! 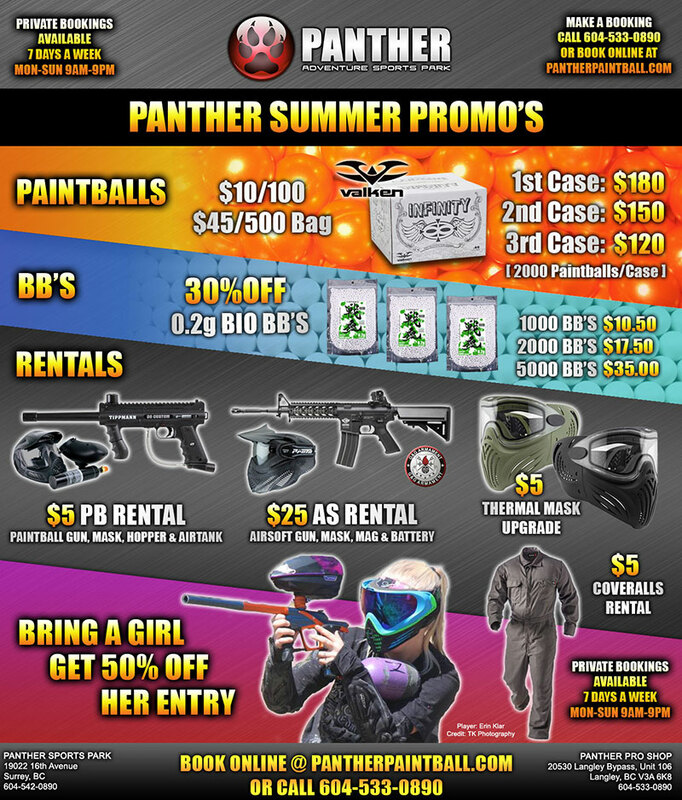 Bring any female to play Paintball or Airsoft and Get 50% OFF her entry. Only one use per customer per visit. All 0.2g Bio BB’s are now 30% OFF for the summer.